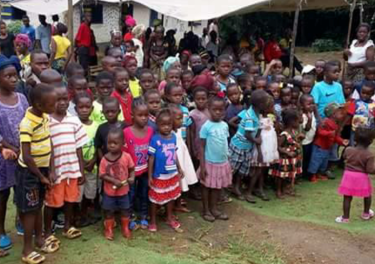 Liberia Bible Container – MISSION COMPLETE! Final Fight Bible Radio in participation with Pilgrim Tract Society would like to THANK YOU for your help in sending King James Bibles to Bro Trokon Zahn in Monrovia, Liberia (Africa). Trokon Zahn, is a King James, Bible believing native African pastor who frequently travels to remote jungle villages to preach the Gospel, but he needs Bibles to distribute. Thanks to those of you who participated, a container full of KING JAMES BIBLES is being prepared to be shipped to Liberia in January of this year! As we get more information as to the status of this container, we will pass it along to the listeners of Final Fight Bible Radio. It will take some time to get the container shipped and unloaded in Liberia, but we will notify you when this happens and also post pictures of YOUR BIBLES arriving in Liberia and being given to the Christians there.